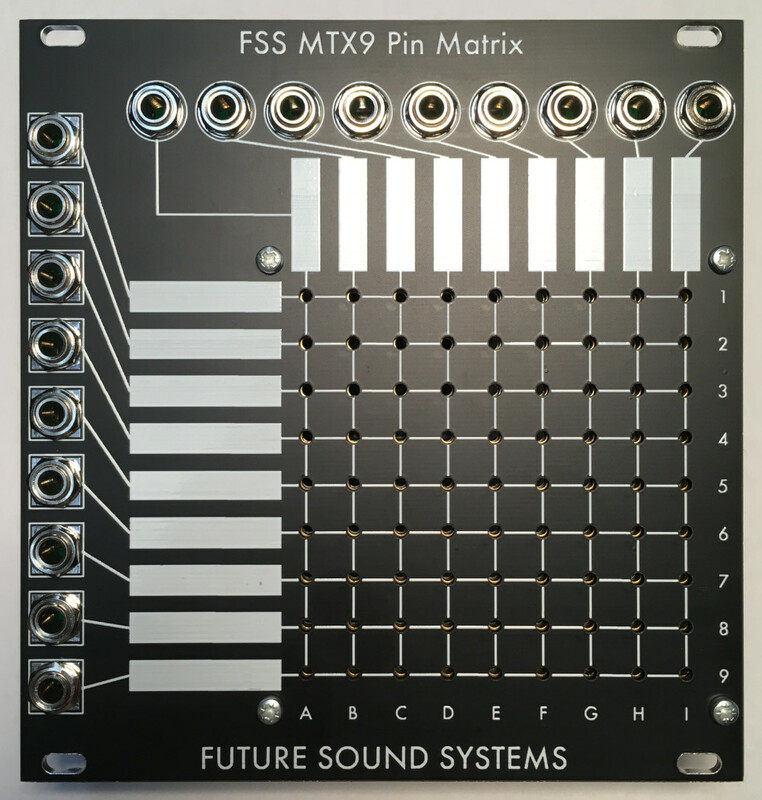 The MTX9 presents a new take on an old classic - the pin matrix, famously incorporated into EMS and Maplin synthesizer designs. The MTX9 provides 9 inputs and 9 outputs to be patched to one another, whilst allowing for passive splitting of one input to several outputs and averaging summation of several inputs to one output (or more). Each component of the matrix has been designed to use standard parts - the pins are 2mm banana test plugs and all cards of the matrix are easily replaceable. The matrix is available as both passive and active units, and passive versions can easily be upgraded to the active model by adding the MTX9A card. The MTX9 is supplied with a dry-wipe marker and 10 banana pins as standard, with spares available from FSS.